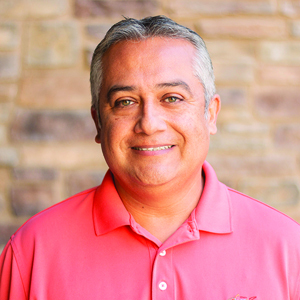 Rusty George is the Lead Pastor at Real Life Church in Southern California; a multi-site church with campuses in Canyon Country, Simi Valley, Valencia and a large online community. Under Rusty’s lead, Real Life has become one of the fastest growing churches in America–growing by 111% in 2011 alone. Beyond leading his church of 6,000+ members every weekend, Rusty is a global speaker, leader and teacher focusing his message on helping people find and follow Jesus. Rusty has also written several books and writes regularly on his blog. Aside from being a loyal Chiefs, Royals and Lakers fan, Rusty is first and foremost committed to his family. Rusty has been married to his wife, Lorrie, for over twenty years and they have two daughters, Lindsey and Sidney. As a family they enjoy walking the dogs, watching the Food Network and playing board games together. Learn more about Rusty at pastorrustygeorge.com. Is the idea of working at Real Life Church exciting to you? See if we are hiring.